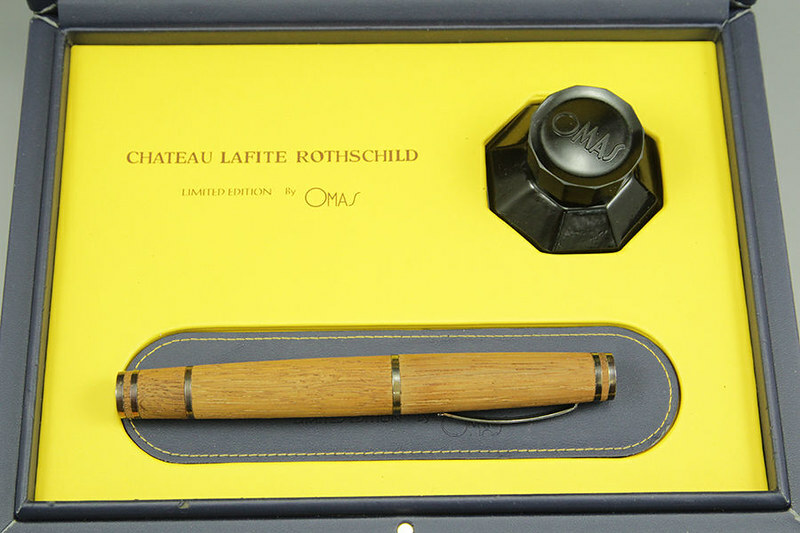 Omas Chateau Lafite Rothschild Fountain Pen Ltd. Ed. I love this pen! 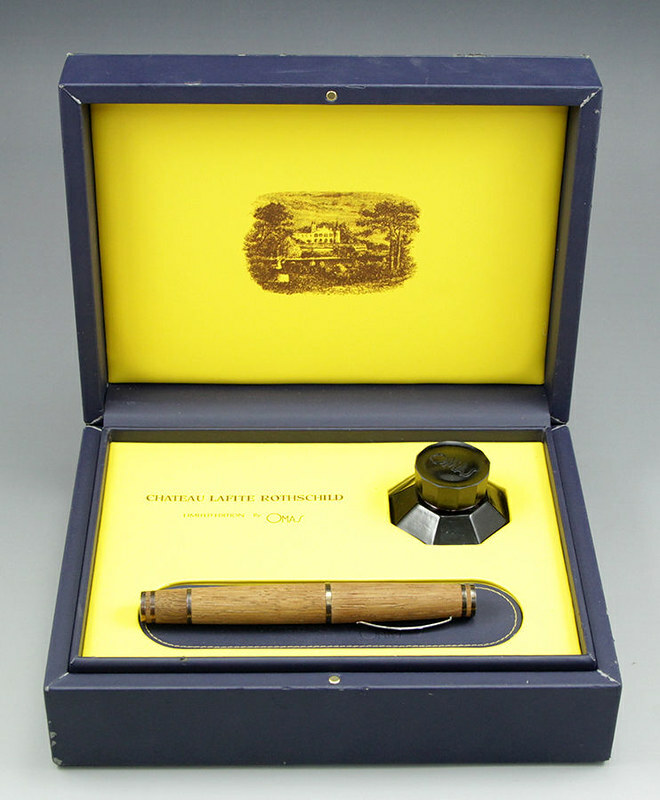 A gorgeous and very well done Chateau Lafite Rothschild fountain pen with solid sterling silver furniture. I really enjoy the way the silver has toned over time and especially the section and cap end logo that has toned with a rainbow effect. However, if you want to remove the toning just a bit of silver polish will do the trick. 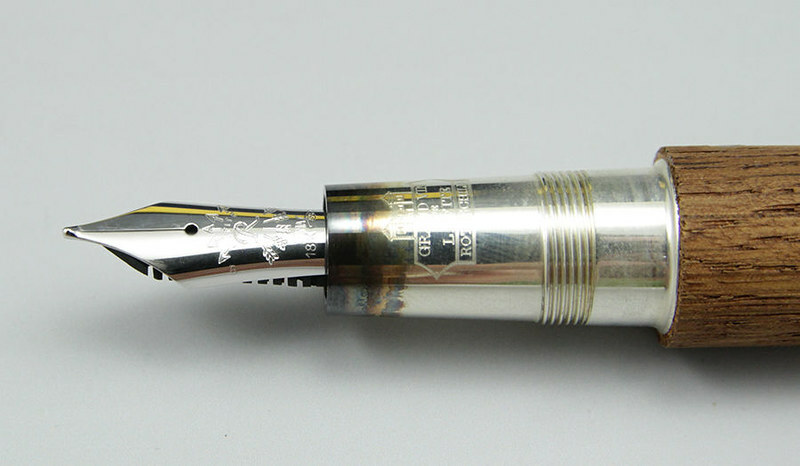 The nib is 18K gold and medium in size. Also, this pen has a wonderful seasoned scent when you open the box. I am not sure if it is the mixture of oak, wine, and age, but it has a lovely light fragrance. I think if I were to have ever used it I would definitely be sniffing the pen as much as writing with it. Price is $1200.00 plus $26.00 worldwide shipping and insurance. Tracking number will be provided. Payment via PayPal. This is a limited edition and is numbered 363/100. It is in mint condition in the original box with all papers (some shelf wear to the box seen in the photos.) 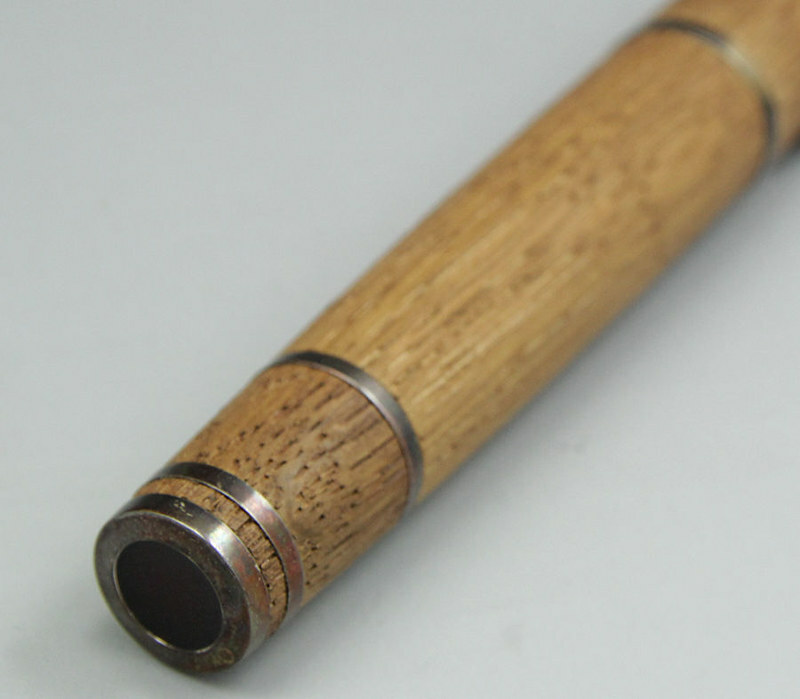 In researching the pen I found that Omas, in fitting with their typical design engineering, actually treated the oak with an impervious clear penetrate that will not allow ink to stain the wood. Size of the box: 25 / 19 / 9cm; 9.8 / 7.4 / 3.5 inches. Shape: Cylindrical, reminiscent of the shape of Château Lafite Rothschild barrels. 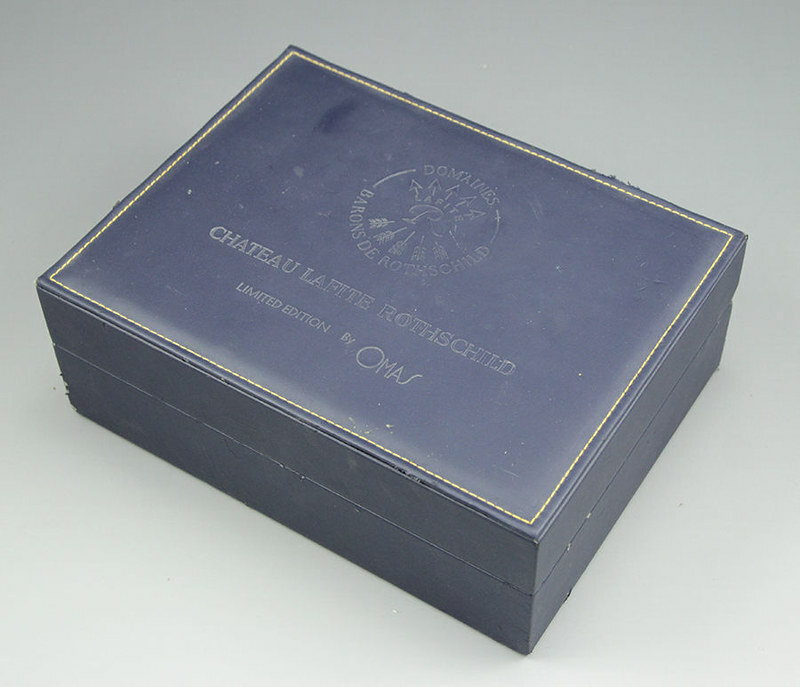 Material: Mature oak from Château Lafite Rothschild casks. 925‰ solid silver finishings, rhodiated. Length: 150,30 mm or 5.9 inches. Maximum diameter: ø 18.00 mm. or .71 inches. 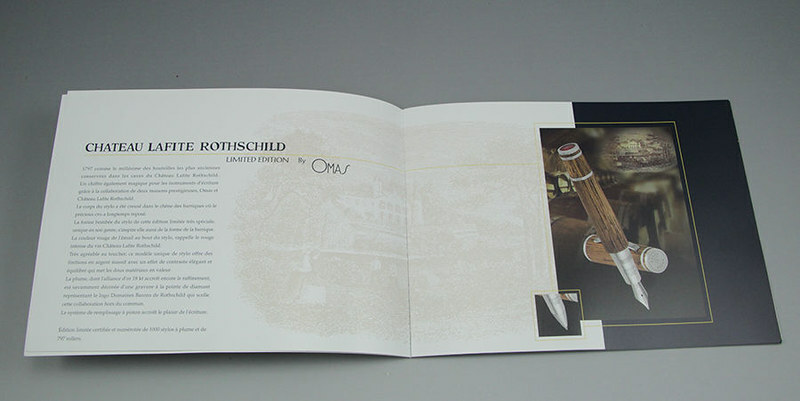 Fountain Pen Nib: Gold 18K Rhodiated and engraved with Château Lafite Rothschild logo. Breitling Aerospace Titanium / 18K with UTC. I failed to state 1200.00 OBO. Say it ain't so!! 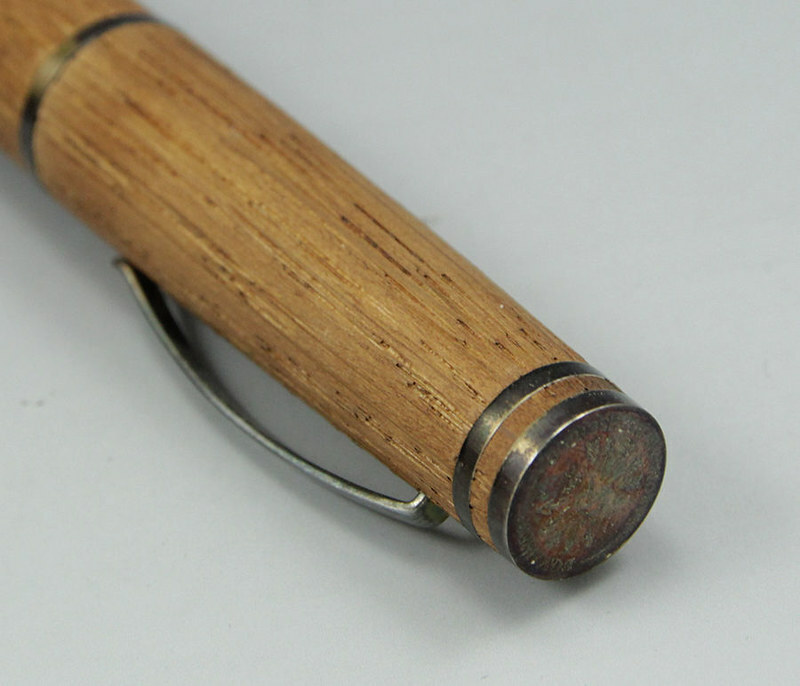 This pen introduced me to the world of "pen sniffing". Tis so!!!! Gotta watch it! This pen is twice as addicting as any others due to that very fact! And if you don't post the cap, you can stick it in one of your nostrils as you write so there is no stopping to sniff! It is if you don't get caught! Wise words from a wise bisquit! Taking best reasonable offers guys! Don't be shy! Let's get this sold guys. Reasonable offers? I can smell the Lafite from here!